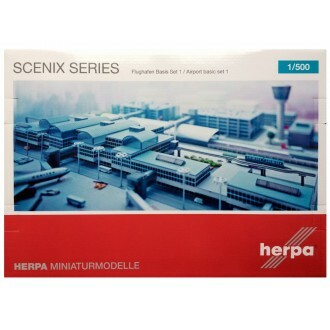 Here comes the basic set for your large airport diorama in the small scale. The set contains more than 400 components, and offers plenty of different ways to create your individual version of a big airport. 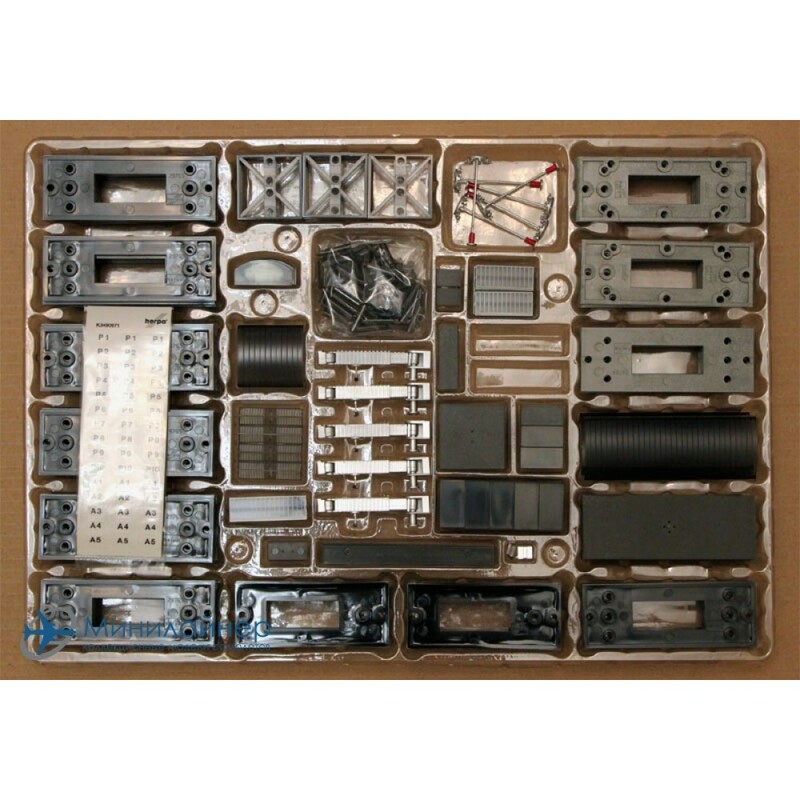 The large selection of parts combines well-known items such as a terminal building, lamps, and gangways with newly developed components like light elements, tunnel gateways for the Skytrain, square-shaped parts of buildings, and small roof elements, which are perfect for creating variations of already existing airport buildings. 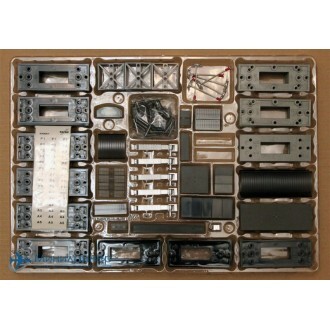 Build a complete terminal building up to 80cm long. Nicely fits on ground foil 520430 (90cm x 100cm). Herpa Wings models live up to their big originals in quality, design and fascination. Herpa offer a nice selection of aircraft and accessories such as buildings and vehicles enabling you to build a complete airport or diorama display. Just like the manufacturers of the originals, Herpa is utilizing the latest technology and quality assurance for development and production.